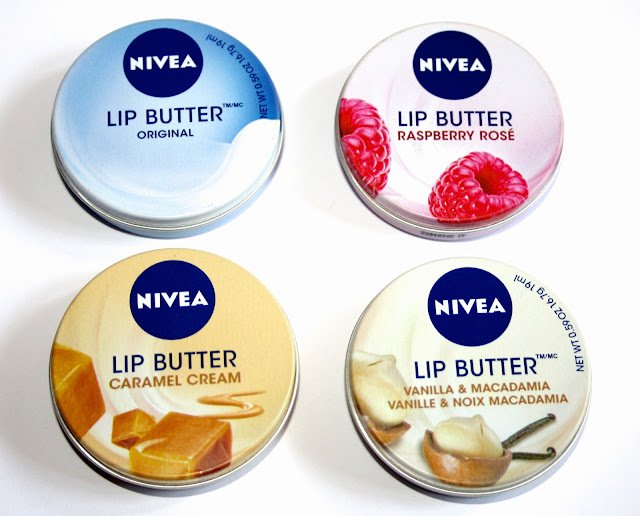 The lip butters come in four different flavors – Original, Raspberry Rosé, Caramel Cream and Vanilla & Macadamia. My absolute favorite one has to be the latter! I am sucker for anything vanilla scented so this is not a surprise to anyone! :) This stuff literally smells like heaven or as if I am chilling on a beach with a vanilla beverage on my hands!! Yumm! The Raspberry Rosé one smells like, well... raspberries and the Original one has just a plain fresh scent to it which is almost not noticeable. The Caramel Cream one, however, I just hate! The caramel smell is so strong and artificial that I cannot even open the lid without feeling nauseous! I would highly encourage you to go ahead and sniff this in the store before buying it cuz this is definitely not a scent for everyone’s taste. Love the review! I'm now going to go and get one. Your blog is amazing btw- especially the design! Follow me and I will follow You back ! I love your blog, just followed you! Great review. I really want to try these! I really like the original. I don't usually like the flavoured/scented ones but I kind of want to try the Vanilla one now! I want to try the caramel and vanilla one! I have the raspberry one right now, and I like it! 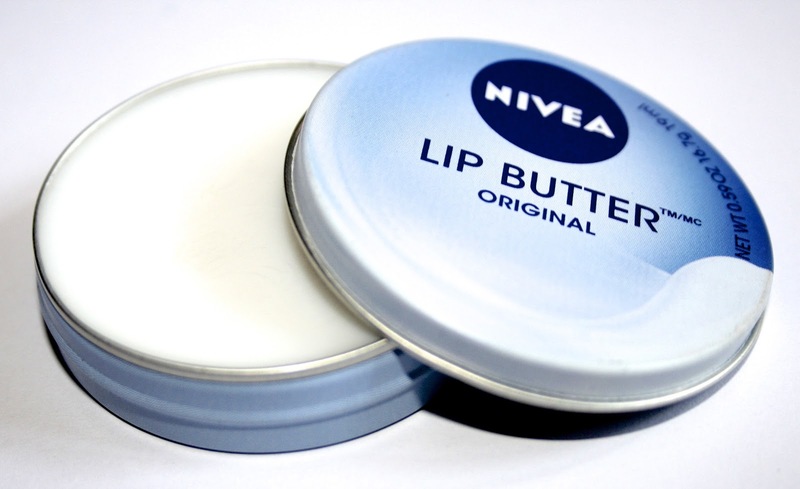 I love Nivea and haven't seen these, so I'll have to get onto Amazon... The raspberry one sounds lovely though. I use Nivea Milk and Honey and that's beautiful! Thanks for the comment on my blog, would you like to follow each other on GFC? Want to follow each other? Just let me know. Hope we can be great followers. I'm glad you've done a review on these, I've been considering buying these for a couple of weeks and I think I'll have to now! 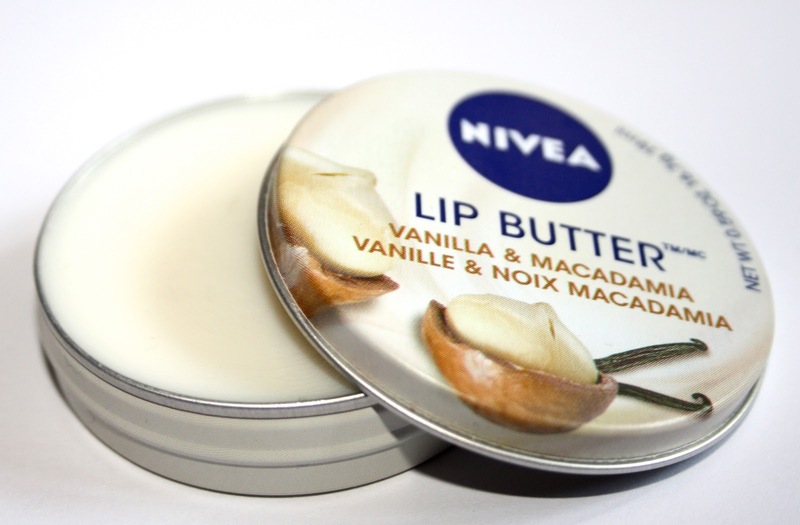 Caramel Cream and Vanilla & Macadamia look like they'd be my favourite because of the scents! I'm a huge caramel fan so I've been eyeing this one, but thank you for the heads up, I'll be sure to sniff it first!! It's great to have a good lip gloss. The problem is that everytime I buy them I seem to lose them. They need to invent lip gloss with tracking devices...now there's an invention. great review need to try this lip butter out , loving the packaging . 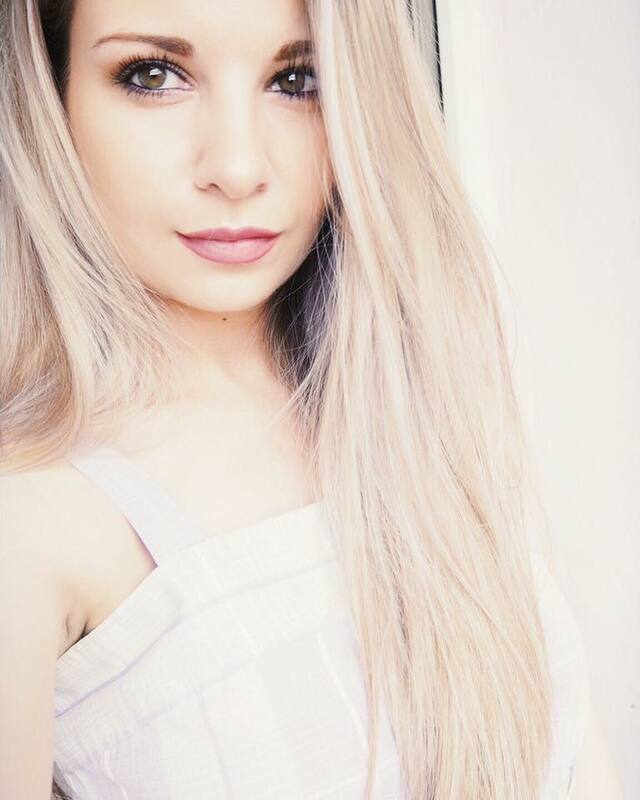 You have a great blog..!! I am following you..Hope you can follow me too..!! So curious about these. They sound promising! great review, might have to pick a few of these up! i would love to try out the raspberry rose one! that one sounds amazing. i also heard a lot of good reviews on youtube etc. think i really have to check them out. These Nivea lip butters look so yummy! I'll definitely try them as they are so cute. What a shame that you didn't like the caramel one- it was the one that caught my attention! I'm not a fan of the tins though as dipping your fingers in isn't very hygienic- but it'll be great to use at home. 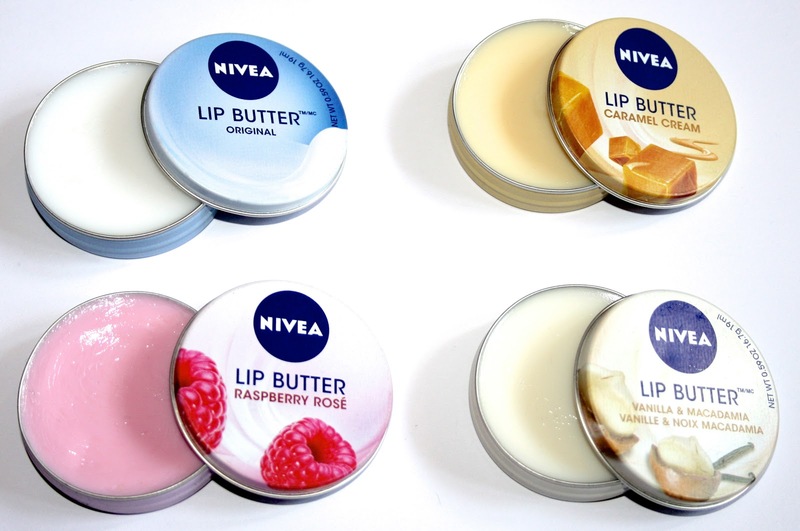 I love nivea products, so I need to get these! OMG *-* I love raspberry! amazing review!! Ahhhh Caramel Cream - yum! I definitely want to give this a try, the vanilla one specifically since I'm a sucker for vanilla too. Also, I'm curious how it will look on me because I don't really like when my lips are left looking pale or whiteish. I will try it out regardless though. Thanks for the awesome review. That raspberry one sounds so good. I like fruity sweet smelling balms. I'll have to wait and see if it makes it's way over here to South Korea. Not again seen them here in Italy. I will check these out, it has been a while that I even saw a Nivea pot, but my grandmother used it all her live, she had great skin. 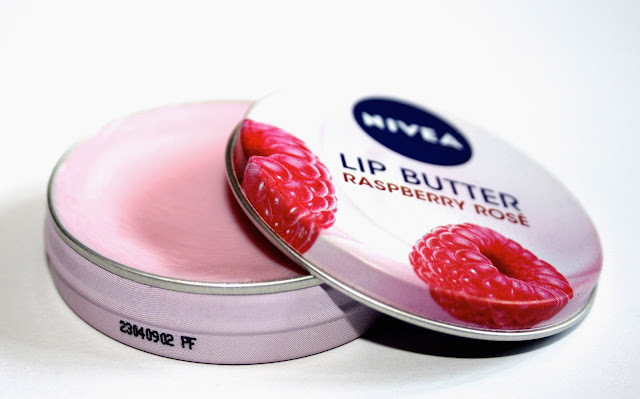 I love this lip balms! I want to try this! Love the different flavors. Oh wow, their chapsticks are pretty awesome but I can't wait to try these out! Ooh these look so lovely. I've seen a few people talking about them now, I might give them a try, not sure which flavour though! Thanks for visiting my blog! Your blog is amazing! I've been meaning to get my greasy mitts on those so I'll have a look on amazon for sure! I love the raspberry rose one it smells AMAZING! The Raspberry and Vanilla ones sound like they'd be nice to try out. i didn't even know these existed. wanna buy them all now! I haven't been able to find these in my drug store but I keep checking for them. I love Nivea lip products. These sound great! I'd love to try them. Definitely going to look next time I'm at the store! wonderful post, thanks for your lovely comment! i've never even seen these out before!They sound pretty nice and probably smell great! I've got the raspberry rose one and love it!! I want the vanilla one now!! Great post! I'm so glad you did a review on these, because I've been waiting to hear a verdict on them. I think the vanilla would be my favorite, too. Glad to see that you use them as a balm to wear to bed. That's what I'm looking for, and it's hard to find something that will last as long as possible through the night. I'll definitely have to give it a try!